Megan Newell grew up in the small town of Mareeba in North Queensland, where her parents owned a newsagency. She later graduated from the University of Queensland with a Bachelor of Arts and from Queensland University of Technology with a Graduate Diploma in Business and a Graduate Certificate in Creative Writing. Megan has lived and worked in Sydney, London and Brisbane in different occupations, and currently works as a legal secretary in Brisbane. She delights in literature, animals and good food, and lives in an apartment in Brisbane with a rainforest fairy garden out the back, which she shares with her partner, Mark and their pet cat, Bella. 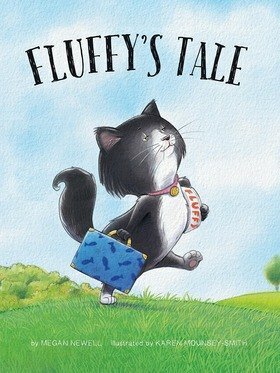 Fluffy’s Tale is her first book.